Continuous care for your floor is the only way to achieve maximum life expectancy. Interfinish teamed up with manufacturers to find the best and most environmentally safe chemicals and equipment to control the overall look and depreciation rate of your flooring. We understand the fibers of your carpet down to their molecular structure. As the innovators of our industry we have been perfecting this process long before our competitors. We do it all when it comes to your flooring needs. Interfinish has a full service maintenance department. Our maintenance services include but are not limited to. It is important to know that it takes frequent maintenance to keep sediment and stains from compromising the overall look of your carpet. Fibers are more prone to matting and the life of the carpet can be cut short if it is not maintained properly. We have highly skilled and trained carpet technicians who are dedicated to controlling those temperamental fibers that get crushed, spilled and walked on everyday. It is their job and ours to find out how to keep that carpet looking pristine like the day it was installed. Stripping and Refinishing with specified and manufacturer recommended floor finish. Application of our neutral cleaning chemicals as well as a top scrub and rinse to remove any harmful sediment that is left behind during everyday traffic. 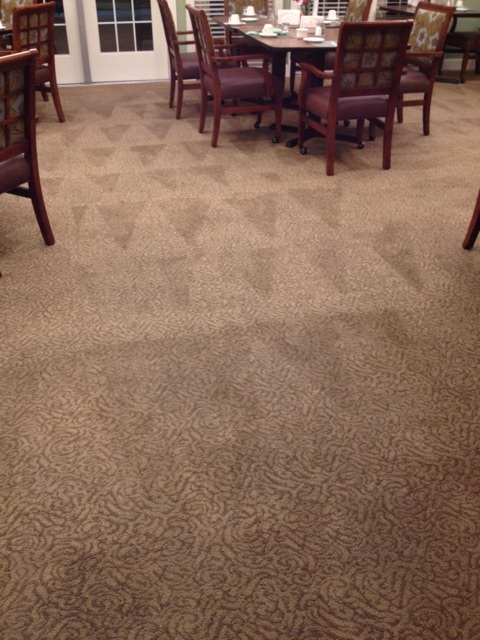 This program utilizes routine maintenance for your carpet and hard surface areas. We provide detailed illustrative blueprints so you can see which areas of your facility are going to be serviced on which dates. Submit special requests to Interfinish to be taken care of at each visit. We will work with you and your team to establish a continuous care program specifically tailored to the needs and budget for your facility. Our team will provide a comprehensive floor assessment that will provide details on frequency, processes, and a long term strategy to protect your investment and keep your surfaces looking newer longer. Interfinish uses patented encapsulation chemistry that works in conjunction with your daily vacuuming programs. Utilizes low moisture levels when cleaning to ensure quick dry times for immediate use. This method does not add soaps or detergents to your carpet. Designed for low or moderately soiled areas. We follow all IICRC and CRI guidelines to ensure your carpets stay looking cleaner for longer without any permanent damage. We pull out soils in heavily trafficked areas ensuring 85% water recovery. Business never stops in today's marketplace and one time restorative cleanings are often necessary. In today's working environment businesses offering 24 hour service, production, and call centers don't have extensive time for carpet cleaning programs. Interfinish can assist you with our unique one time restorative cleaning. Utilized on the most heavily soiled areas. 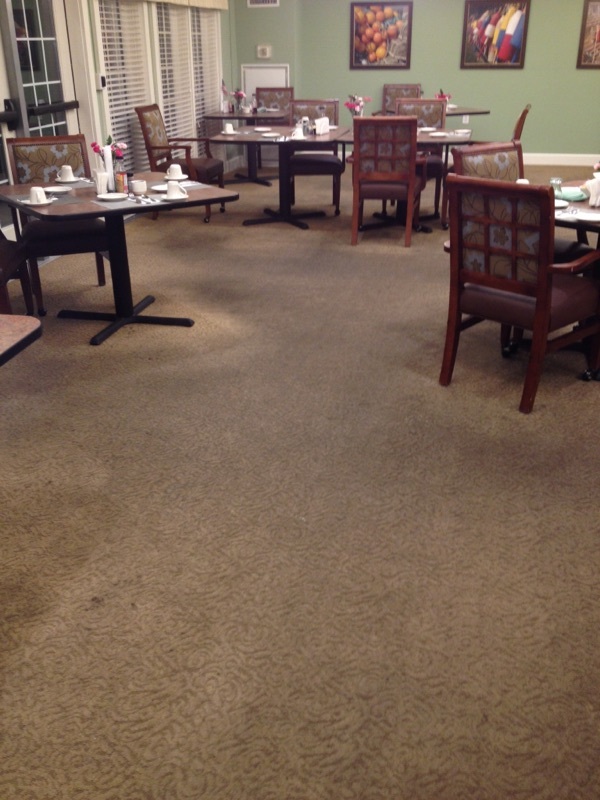 The goal is to bring back the appearance of your carpet while ensuring you and your staff are not hindered by the process. Depending upon the situation, we utilize the newest portable extraction equipment, counter rotational brush machines, as well as patented restorative chemistry.